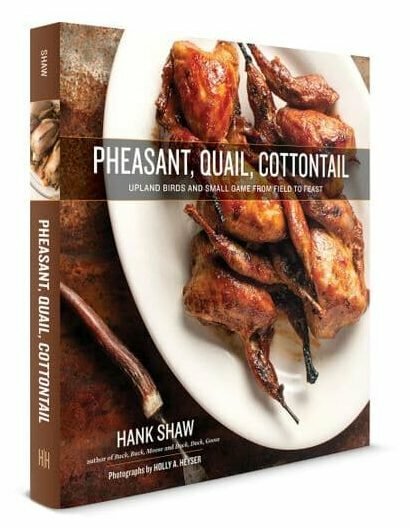 My latest cookbook, this book covers all sorts of birds, from pheasant and wild turkey to quail, doves, grouse of all species, partridges, woodcock and even lesser-known birds such as snipe and rails. It also has an extensive section on small game animals such as rabbits, hares, and squirrels. What’s more, every purchase of this book helps our wild habitats. 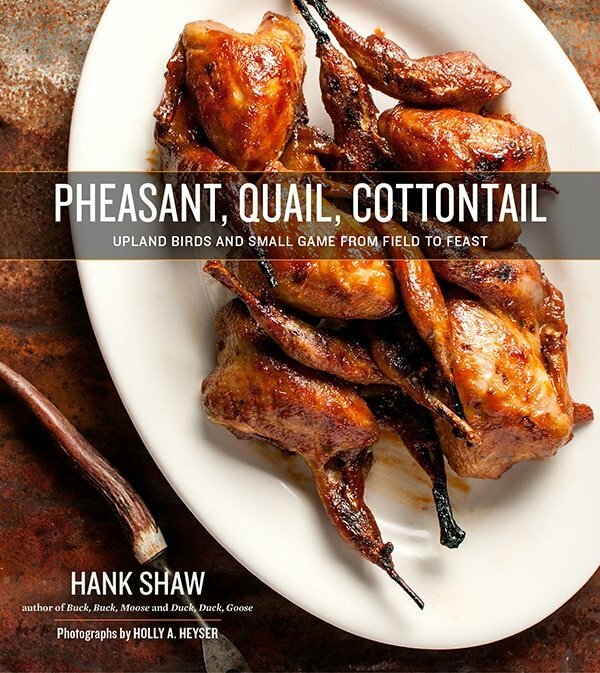 A portion of the proceeds of every book sold will go to help the non-profit conservation efforts of Pheasants Forever and Quail Forever, which will use the money to restore, maintain and expand habitat for all upland birds. I happen to currently be on tour for this book — you can see the full schedule here. Media inquiries should be sent to scrbblr AT hotmail DOT com. is the first comprehensive, lushly photographed, full-color guide to working with and cooking all forms of venison, including deer, elk, moose, antelope and caribou. 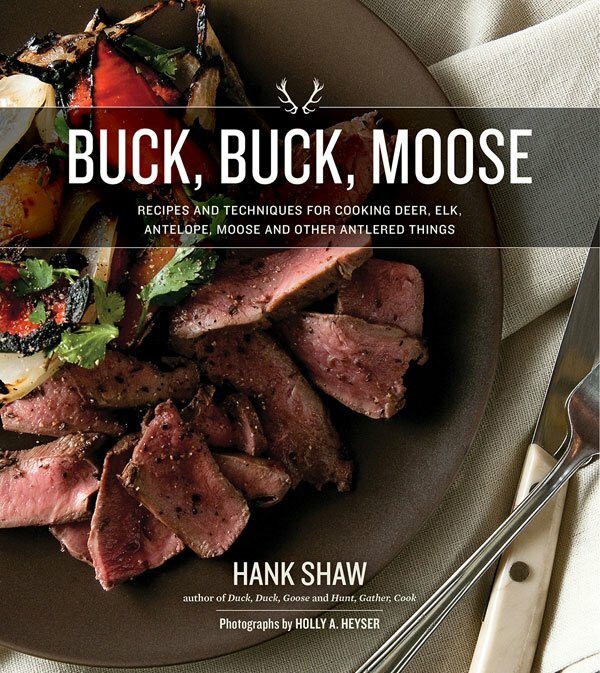 You can buy Buck, Buck, Moose directly from me here, or wherever books are sold. If you hunt ducks and geese, or just like eating them, this is the book for you. No other book in the English language covers waterfowl so thoroughly, covering field care, how to choose birds in the store, butchery, differences in species and diet — as well as more than 100 recipes. is full of color photos and includes recipes from all over the world, for every part of the animal. 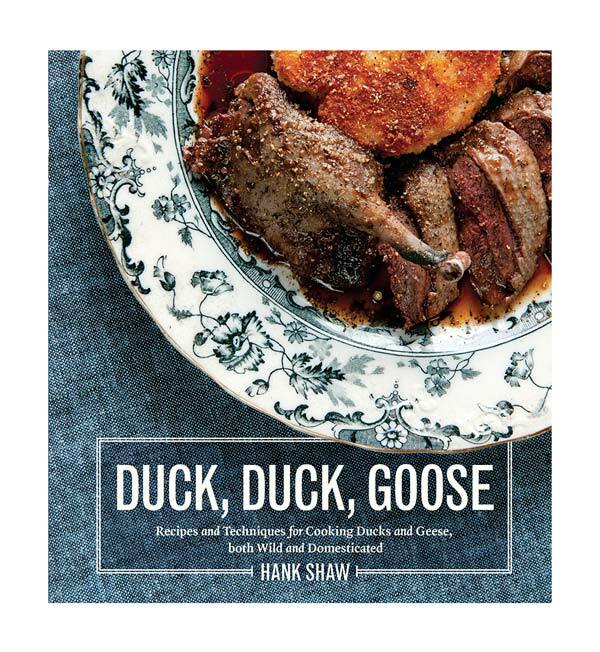 The book also includes a full section on confit, charcuterie, sausage-making and curing ducks and geese. The duck jerky recipe has been a particular hit. Since it was released in 2013, the book has received multiple awards and critical acclaim, including more than 200 five-star reviews on Amazon. here, or wherever books are sold. 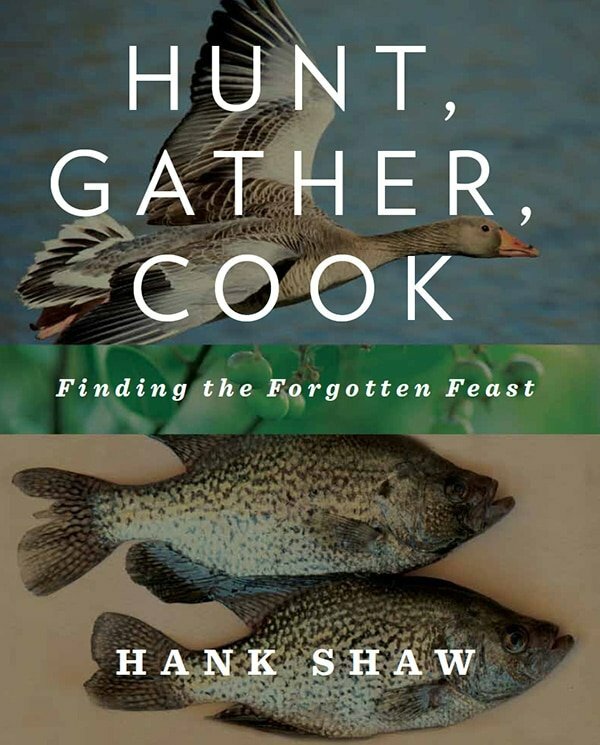 Hunt, Gather, Cook was my first book, published in 2011. It’s different from all my other books in that is is more of a primer for the entire wild world — it has sections on hunting, yes, but also fishing and foraging. Less of a guidebook and more of a cookbook-inspirational, HGC is meant to give you a solid grounding in the wild world, and to inspire you to expand your skill set out there. If you’re a hunter, this will help you get started as a forager. If you’re a forager, it will help you wet a line for the first time. I am happy to say that Hunt, Gather, Cook is still in print almost eight years later, having gone through 11 printings to date. It has been hailed by the New York Times, featured on CNN and National Public Radio, and was named one of the top cookbooks of 2011 by Amazon.